The transformation may affect the interests of members / aktsierite / of all involved companies. Protection is needed not only partners / shareholders / whose membership in a transferring company is dissolved and replaced by membership in the newly formed or receiving Druzhetsvoto but also partners / shareholders / who retain their membership in the transforming company / at separation / or host company / a merger or division and separation acquisition /. Protection of members / shareholders / preventive and follow. Prevention is the protection that allows to attack the conversion before the completion of his actual composition / before its entry in the commercial register / and posledvashta- after the conversion takes effect. For this reason, the protection available to sadruzhnishtite / shareholders / after the adoption of decisions and conversion, but before entry is preliminary. First protectant is imperative requirement of Art. 261b, paragraph 1 ms, according to which the acquired units or shares before the transformation must be equivalent to the fair value of the held before converting shares in transforming drazhestvo. The fair value should be determined at the same time / date / all involved in the transformation Druzhetsvoto. In theory it assumes that if the shares are traded on regulated markets, fair value is generally the market price. In other cases, they may use different methods and combination of methods / evaluation based on net asset value assessment based on market prices of companies analogue /. The determination of the exchange ratio requires sparvedlivata price of each company to split the number of shares, if they have the same nominal value and thus establish the fair value of a share or unit of each of the corporations participating in transformation . The fair value of the share or interest of the shareholders / partners / before conversion should be divided in the fair value of a share or shares they acquired after conversion. Under the law can not acquire shares in the acquiring or new companies against shares in the transforming company, owned by receiving Druzhetsvoto and against own shares of the transferring company. This prohibition also applies to a person acting in his own name but on behalf of Druzhetsvoto. The prohibition partners or shareholders of the transferring company to become members of the acquiring company / on a merger, division or separation acquisition / acquire membership / units or shares / units in the acquiring company against shares or shares that it holds in transforming company, It is based on the fact that the shares held are not part of the assets of the transferring company and of its capital. Upon separation acquisition host druzhstvo remains a partner or shareholder of the transferring company. The shares of the acquiring company are covered with rest after the separation property and the passed property enters directly into his patrimony, as it is the successor of part of a transforming company. In this case it may increase the capital of the acquiring company. When the transferring company is dissolved as an entity / deleted from the register / lapse / disappeared / and its capital, while invalidate all units or shares of which it is structured. Removal transforming company retains its own shares, but they can be taken into account in determining net asset value of the company. 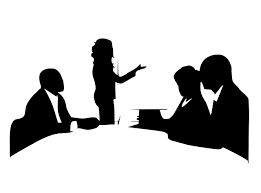 The law provides for liability of board members of the transforming and acquiring companies to partners and shareholders for damages from breach of their obligations under preparation and conduct of conversion. Understandably saobrazzheniya not provided liability of board members of the newly formed as a result of the restructured company.